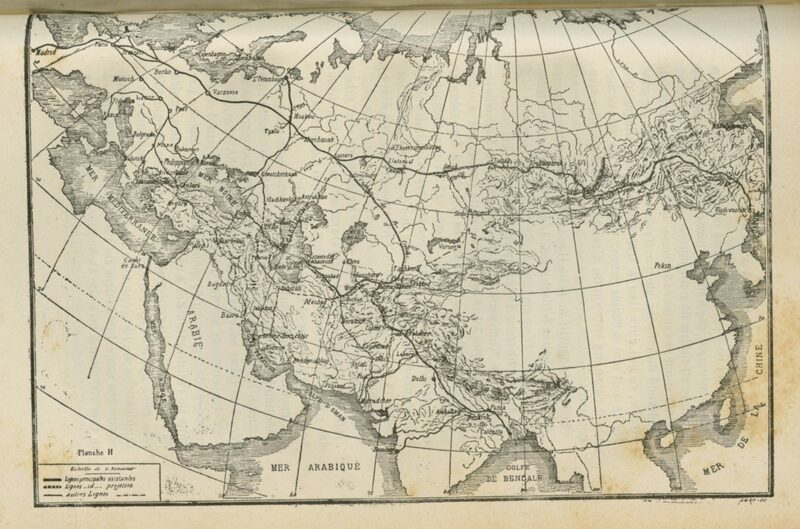 This is a map illustrating the 1442 km long Transcaspian railway from Mikhailovsk, near the coast of the Caspian Sea, to Samarkand. 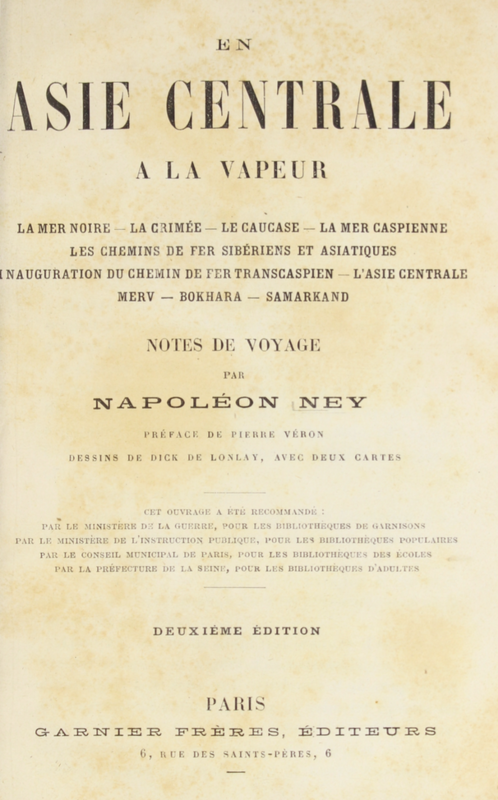 The map can be found on p. 285 in En Asie Centrale à la Vapeur (1888) written by Napoléon Ney. 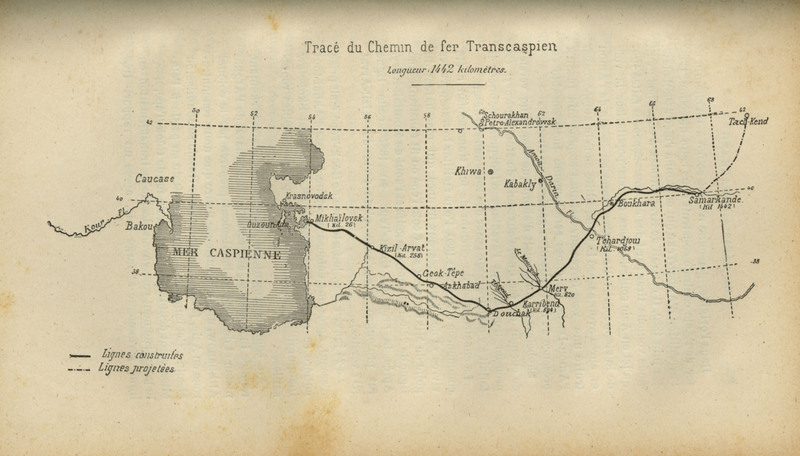 Along with another map illustrating railways from Europe to Asia, this map is a complementary document to Napoléon Ney’s account of his 17 day- long journey from Paris to Russian Turkestan where he attends the inauguration of the Transcaspian railway in Samarkand on the 27th of May in 1888. Ney gives thorough descriptions of the construction of the Transcaspian railway and the opportunities that this communication method means for Russian economic power in Central Asia. In this present map train stations along the Transcaspian railway are indicated, as well as the planned railway extension from Samarkand to Tashkent.